In 1906 Sumner entered Harvard College; he graduated in 1910, having specialized in chemistry. After a short interval of working in the cotton knitting factory owned by his uncle, he accepted a teaching post at Mt Allison College, Sackville, New Brunswick. This was followed by an assistantship in chemistry at Worcester Polytechnic Institute, Worcester, Mass., in 1911, from which he resigned in 1912 in order to study biochemistry with Professor Otto Folin at Harvard Medical School. Although Folin advised him to take up law, since he thought that a one-armed man (while grouse hunting at the age of 17, Sumner was accidentally shot in the left arm by a companion, and as a consequence, his arm had to be amputated just below the elbow) could never make a success of chemistry, Sumner persisted and obtained his PhD degree in June 1914. A few months later while travelling in Europe he was stranded in Switzerland for about a month by the outbreak of World War I. During this time he received a cable inviting him to be Assistant Professor of Biochemistry at Cornell Medical School, Ithaca, NY, a post which he held until 1929, when he was made full Professor of Biochemistry. He had decided to isolate an enzyme in pure form, an ambitious aim never achieved by anyone up till then, but a type of research suited to his scanty apparatus and very small laboratory staff. In particular, he worked with urease. For many years his work was unsuccessful, but in spite of discouragement from colleagues who doubted whether any enzyme could ever be isolated in pure form he continued. Finally, in 1926, he succeeded but his isolation and crystallization of urease met with mixed response; it was ignored or disbelieved by most biochemists, but it brought him a full professorship in 1929. Gradually, recognition came. In 1937, he was given a Guggenheim Fellowship; he went to Uppsala and worked in the laboratory of Professor The Svedberg for five months. He was awarded the Scheele Medal in Stockholm in the same year. When Northrop, of the Rockefeller Institute, obtained crystalline pepsin, and subsequently other enzymes, it became clear that Sumner had devised a general crystallization method for enzymes. The opponents gradually admitted Sumner's and Northrop's claims and the crowning recognition came in 1946 when the Nobel Prize was awarded to Sumner and Northrop. 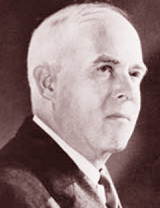 In 1948, Sumner was elected to the National Academy of Sciences (USA).